D6 - 44 006 "Whernside"
44006 is seen at Attenborough level crossing on 20th June 1976 with only six months left in traffic. D7 - 44 007 "Ingleborough"
44007 in unusually shabby condition is seen in Toton Yard on 18th May 1977. 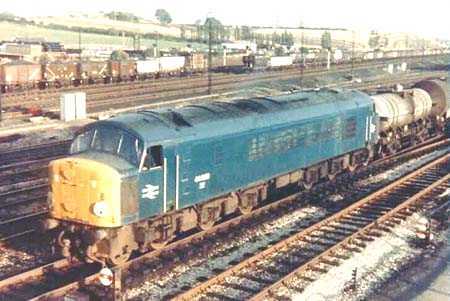 Despite the appearance the locomotive survived until withdrawal in November 1980, one of the last three (the others were 4 and 8) to be withdrawn. 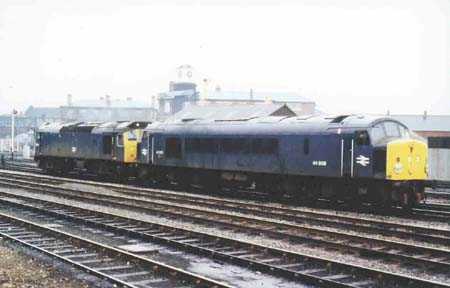 The locomotive was scrapped at Derby Works in November 1981. D8 - 44 008 "Penyghent"
With the Works office block as a backdrop 44008 is seen in company with 25106 at Derby on 31st July 1978. The 44 has survived in preservation. D9 - 44 009 "Snowdon"
44009 trundles through Toton Yard with the chemical tanks from British Celanese in Spondon on 5th September 1977. 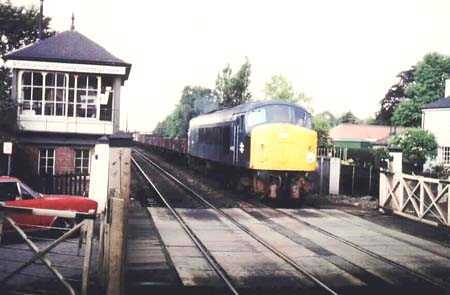 This locomotive acquired a class 45 nose end at some stage fitted to the opposite end in this view. 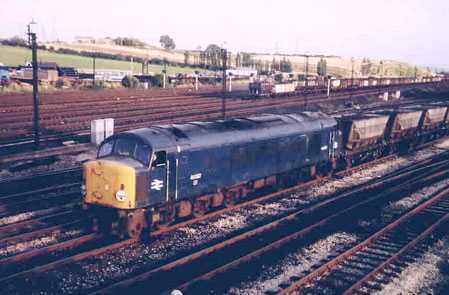 The locomotive was withdrawn in March 1979 and scrapped at Derby Works in july 1980. 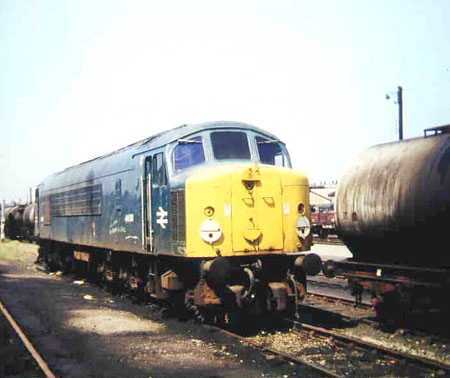 D10 - 44 010 "Tryfan"
The end for 44010, seen on 18th May 1977 just after withdrawal in Derby Works. The locomotive was cut up in July 1978. Both this and 44009 had non - standard bodyside grilles.